At one time, we had little choice of USBs but now there are several to choose from and each one has its own set of properties for a specific task. We use USBs to connect external devices, like hard drives, to our computers but these days, the mobile devices and other electronic devices we use are getting slimmer and that means the old type A USB no longer fits. To replace it, we have two very different technologies , USB C and the Thunderbolt Port. Why Are These Important ? USB C is not a universal standard; it’s a double-sided connector that can be inserted either way around so no more messing about trying to get the connector into the port. USB C ports support multiple protocols so that you can use adaptors that output DVI, DisplayPort, HDMI, and more, all in one port. As well, with many mobile chargers carrying 5 volts at 2 amps, and computers generally requiring 20 volts at 5 amps, the USB C connector can support power variations of 100 watts , this means you can use one to charge a smartphone or a laptop. What About the Thunderbolt 3 Port ? The Thunderbolt 3 port from Intel is the updated version of the Thunderbolt which was designed by Intel and Apple. The Thunderbolt 3 transfers data at 40 Gbps, which is two times faster than the Thunderbolt 2 port and an incredible 4 times faster than USB C. The Thunderbolt 3 and the USB C connectors are designed in the same way but, with the Thunderbolt, you need an Active cable. These are similar to a fiber active cable, made from glass and plastic. They transfer data using light transmission and vary in length from 6 ft to around 200 ft.
2. Potential Security Risks – connection and data transmission security are a big problem and the Thunderbolt 3 is vulnerable to DMA (Direct Memory Access) attacks. These attacks are based on a malicious external device connecting and being able to access the memory, allowing encryption key exposure, reading and writing to system memory and installation of malware. The interface can also be used for loading and executing malicious Option ROMs from devices or peripherals attached and execution may happen before the system is even run. This can lead to key logging, kernel invasion, and so on. 3. Small ecosystem – there are not too many products that make use of the Thunderbolt 3 port and, right now, that means the market is limited. 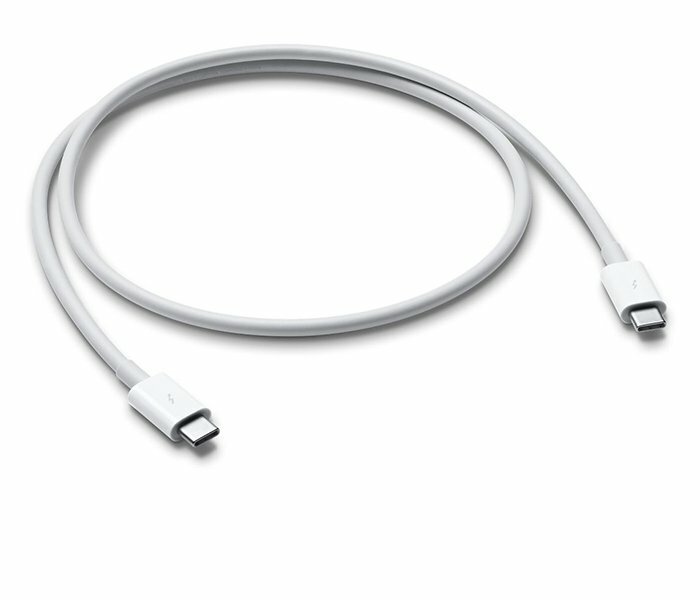 Most of the latest devices will have USB C and some will have Thunderbolt 3 for higher speed data transfers and better connections. This can relieve some users form the tangles of wire that protrude from every device. Technology is ever-evolving, and change is inevitable; the data transfer speed gets faster every year, irrespective of how complex networking is.